The church has been called “the people of God” (Heb. 4:9), “the Israel of God” (Gal. 6:16), “the body of Christ” (Rom. 12:5), and “the dwelling place of the Holy Spirit” (Eph. 2:22). 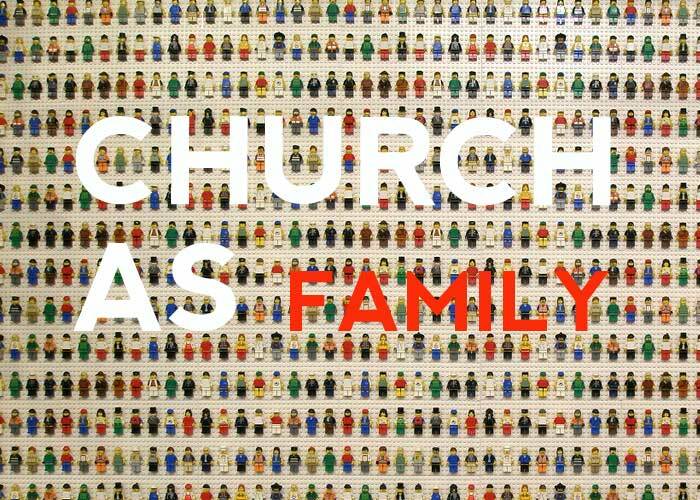 But by far the most significant metaphor or image used to describe the church is the church as family. In one sense, the church family is all of God’s people. This is sometimes called the universal church because it includes everyone everywhere who has trusted in Jesus and been made alive by the Spirit. In this way all Christians are brothers and sisters in Christ. But in another sense, a church is a local community who shares life together as an expression of their membership in the worldwide family of God. In this sense, your “immediate family” members are those who belong to your local church family. Here’s the important thing to keep straight: By God’s design, active participation in the life of a local church is a sign that we are actually part of the universal church. In other words, local church fellowship is one of God’s chosen ways of showing the world who his children are. That’s why of the 113 times that the New Testament uses the word “church,” at least 90 of those instances refer to the local church! What does it look like to belong to a local church family? Belonging to a local church means calling that church ‘home’ and taking responsibility to ensure the health and growth of those in your church family. The phrase we use for this is church membership. Membership in a church family is not like membership in a club or a gym, where you come and go as you please. Rather, like belonging to your family at home, membership in a church family is deeply significant. 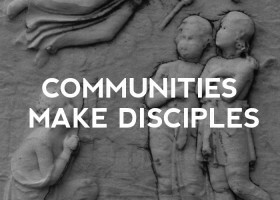 In fact, membership in a local church family begins with a two-way promise made between you and the rest of the church family, a promise to fulfill the commands that God has given to local churches. For example, you and your church family promise to “be devoted to one another” (Rom. 12:10), to “serve one another” (Gal. 5:13), to “carry one another’s burdens” (Gal. 6:2), to “teach and admonish one another” (Col. 3:16), to “encourage one another daily” (Heb. 3:13), to “spur one another on to love and good works” (Heb. 10:24), and to “obey your leaders” in the church and “submit to them, for they are keeping watch over your souls” (Heb. 13:17). Leaving or joining a local church, therefore, is just as significant as joining or leaving a physical family. Think about it. It’s beautiful and significant to add another member to a physical family—whether through birth or adoption—which is why everyone rightly celebrates and welcomes the newest family member. On the other side of things, suppose someone says to their family, “I’m leaving, and I don’t want to have anything to do with you anymore!” It’s ugly and significant to lose a member of your family like that. The trouble is, we don’t really believe God when he tells us that our local church is our family. Normally, we just see them as a group of friends who simply like attending the same church services, as if it were some kind of preference concerning two restaurants. “We like eating here, but they like eating over there.” Or, “We like worshipping here, but those people like worshipping there.” Thus many people decide to join or leave a church based on matters of preference or based on insignificant things that don’t really relate to God’s work in the world. 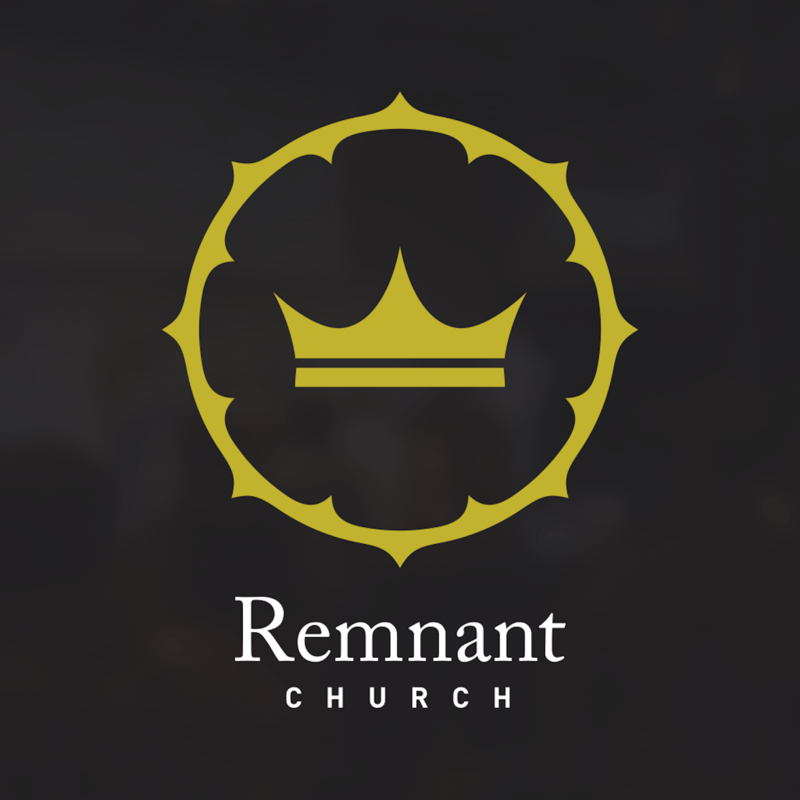 Are there no legitimate reasons to leave a church? Before we ask this question, we should pause to reflect on why we are asking it in the first place. Could it be that our sin, or the sin of someone else against us, might have caused us to grow cold in our love and affection for our church family? Maybe the reason we’re asking about “legitimate reasons to leave a church” is actually because we are seeking to justify impure motives. We assume that we’re immune from such sinister behavior, but the Scriptures say this sort of thing happens often—whether we are even aware of it or not (Jer. 17:9). Nevertheless, there are legitimate reasons to leave a church family, just as there are legitimate reasons for separating yourself from your physical family. If a physical family were threatening you with death, or harming you unrelentingly, it’s wise to remove yourself from their destructive actions. Similarly, suppose your church family began teaching things contrary to the gospel. Your heart may break that they are teaching destructive heresies, but your deeper commitment to God would require you to move on. Tragically, there are times when a church may required to distance themselves from someone who was part of the family for a season (1 Cor. 5:1-5; Titus 3:10-11; 2 John 10). The reason for this serious course of action is because such people have an “unhealthy craving for controversy, producing envy, dissension, slander, evil suspicions, and constant friction” in the family (1 Tim. 6:4-5). Paul says, “have nothing to do with such people” (Titus 3:10), probably because they are a danger to the rest of the family—once again, whether they are aware of this or not. All this may sound harsh, but contrary to what we might be tempted to think, the goal of all this would be the repentance and restoration of wayward family members. The hope is always that they would come to a knowledge of the truth, turn from pride and stubborn hardheartedness, and be reconciled to a church family as soon as possible. It would be a shame for us to conclude our look at the church as a family by talking of the difficult (but usually rare) circumstances in which someone has to leave a church. It’s true that no local church is perfect. How could it be, if it’s full of imperfect and sinful people? But just because church families are not free from making mistakes doesn’t mean that we should avoid joining one. That would be like concluding that because physical families are imperfect, they are not needed or helpful. The reality is that because of the work of God’s Spirit, healthy church families do love, serve, and care for each other and for the people around them. It’s a beautiful picture of God’s love in action, helping people to overcome their prejudices and their injustices against each other as they unite as brothers and sisters in the name of Jesus.